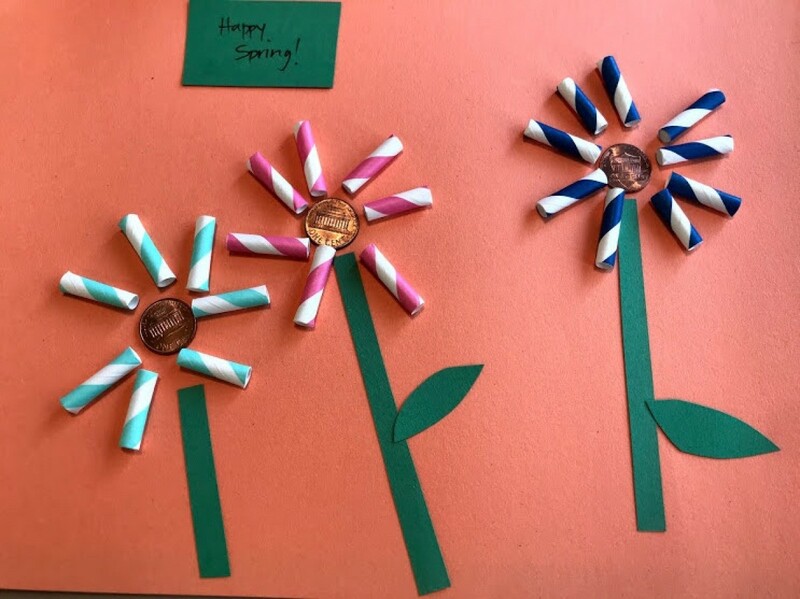 To celebrate the first day of spring, my daughter assembled this cute flower artwork that is now hanging on our refrigerator. 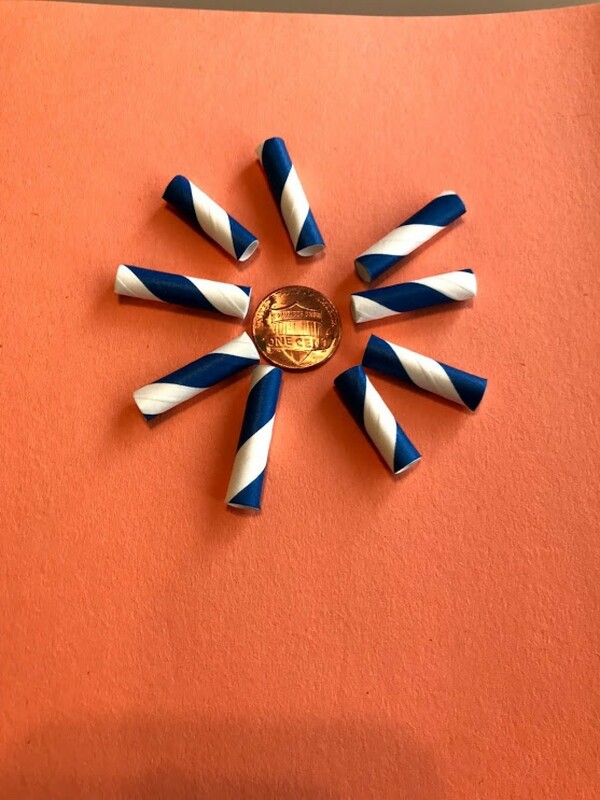 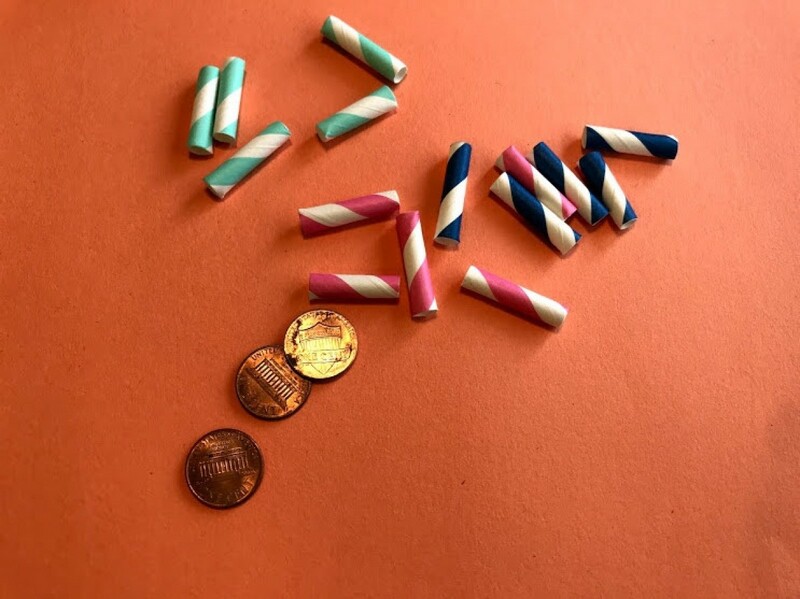 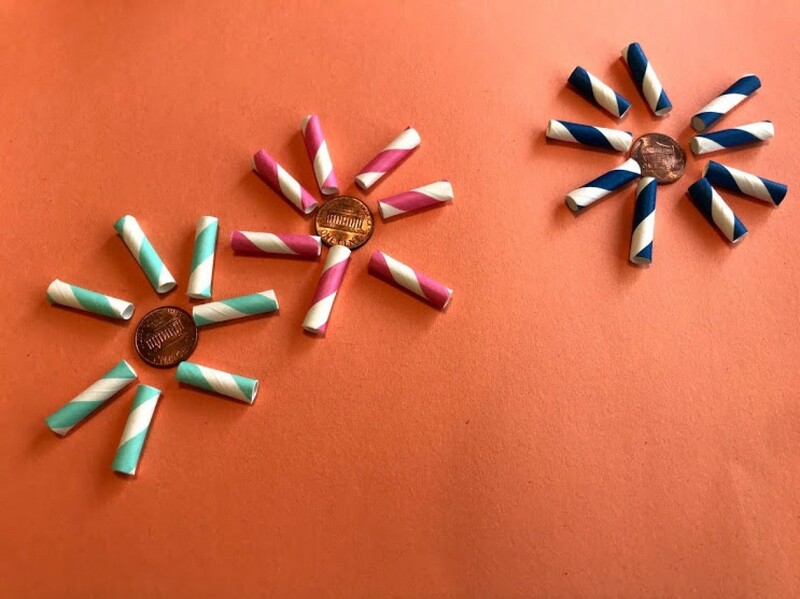 Glue down a penny for the center of the flower and glue straws around to resemble flower. 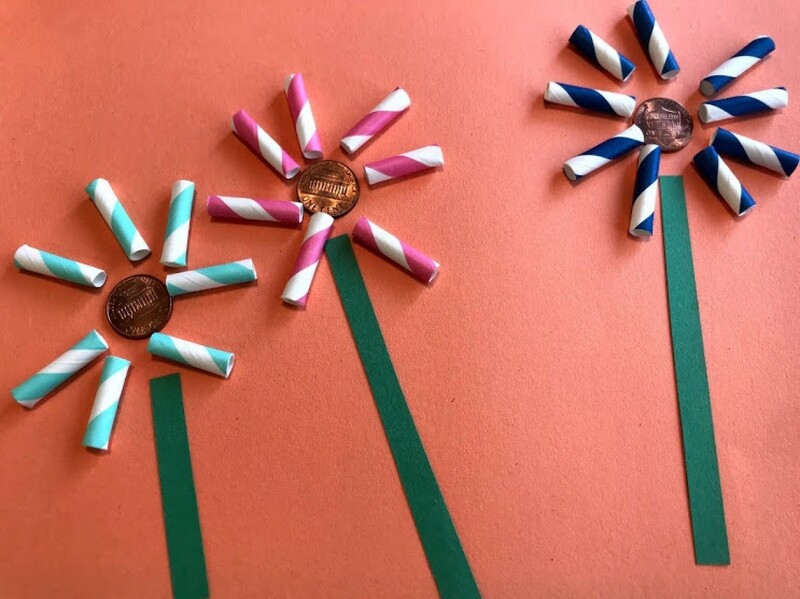 Repeat to make as many flowers you want to make. 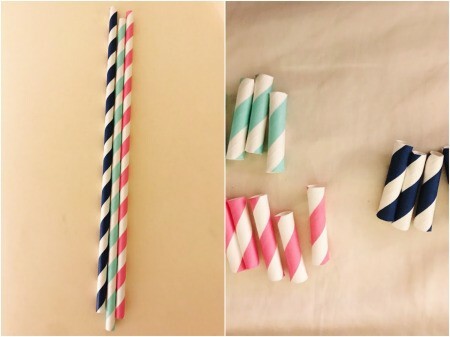 We made 2 more. 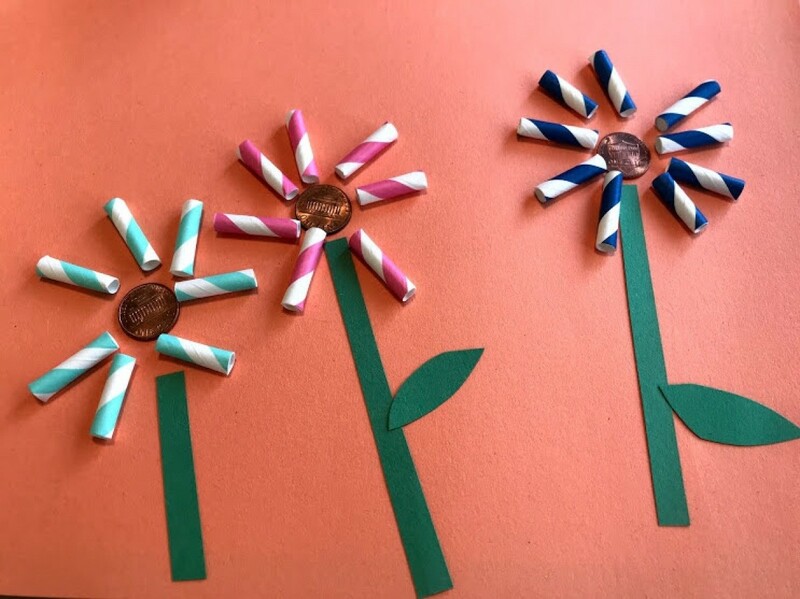 Finish off the flowers by gluing down a stem and leaf (cut out from green construction paper). You can add a Happy Spring sign!